Siskoid's Blog of Geekery: One Panel #72-74: New Superhero? 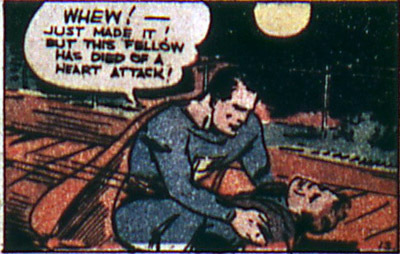 Another story in which Superman is mostly in civvies, posing as a football player, he at least spends a few pages in costume, time enough to save a guy from being hit by a train. I'm sure the guy was happy for the few seconds that bought him. Believe it or not, this didn't lead to DC's second (third?) superhero. 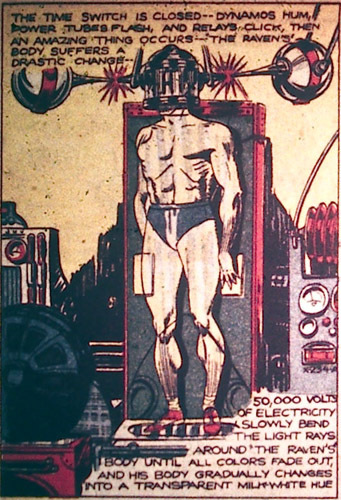 The contraption creates an invisible man who is soon apprehended when the power gives out. Why he called himself the Raven, as visible an animal as any, will have to remain a mystery. Gateway crimes, eh? 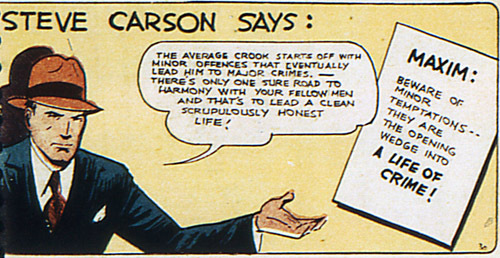 This PSA was brought to you by the Federal government in association with Siskoid's Blog of Geekery (or else! ).